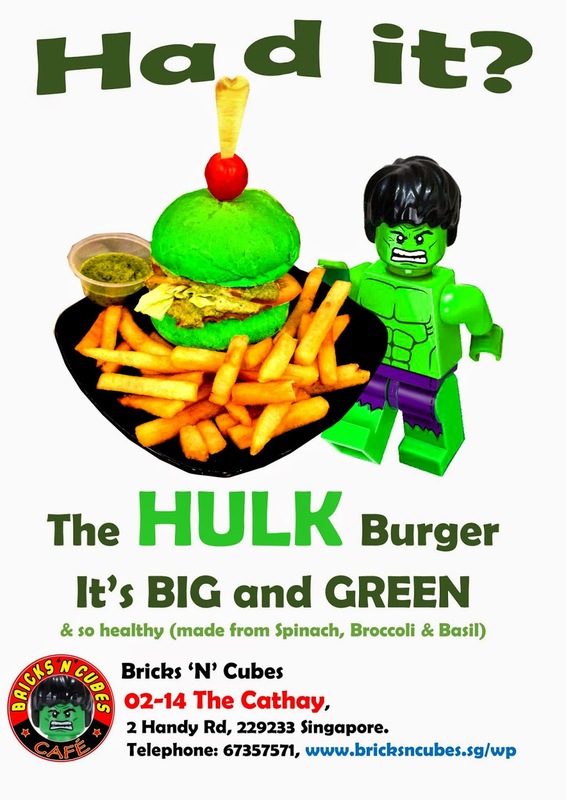 Try out Bricks N Cubes new Hulk Burger, the first Marvel's Avengers series of burgers complete with green buns which are as big as the size of Samsung Galaxy, addictive greenish pesto sauce, and fat and juicy beef patty! Holy camoly! 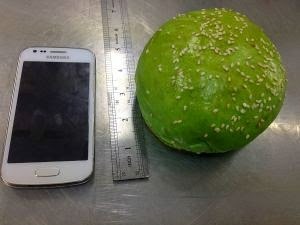 Now that is huge! According to Bricks N Cubes’ website, the unique green buns are made from healthy veggies such as spinach, broccoli and basil and is free of trans fat, artificial colouring, MSG and gluten. 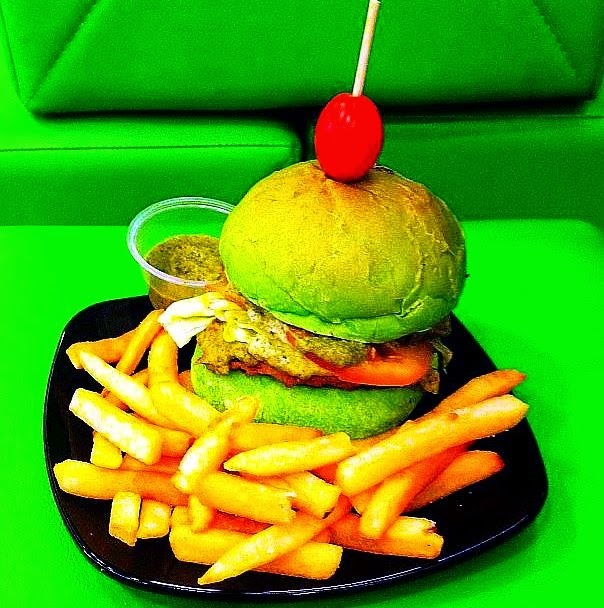 Furthermore, the Hulk Burger is the collaboration between Executive Chef Jonathan of Gobi Desserts, who specialises in making soft Japanese bread, and Bricks N Cubes very own Chef David who comes from a long line of famous chefs. 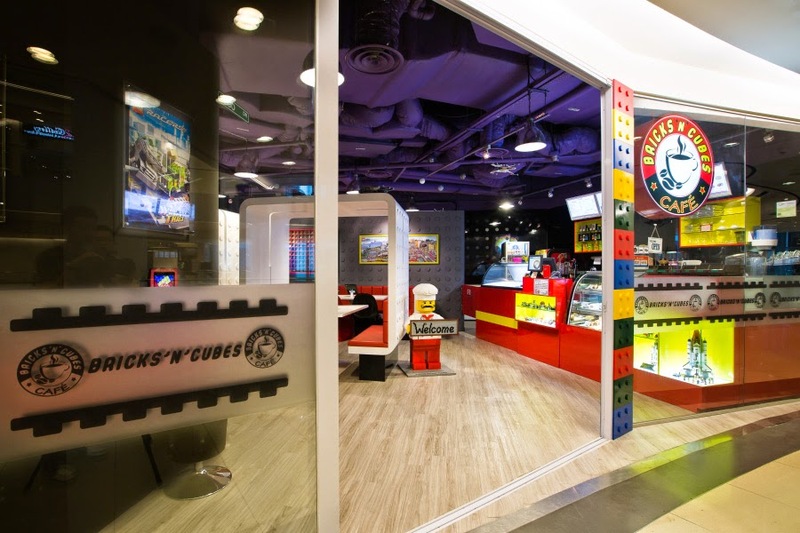 Bricks N Cubes café is the only Lego-themed café that can be found in Singapore.